have passed Degree in Engineering from University duly recognised by AICTE/UGC. 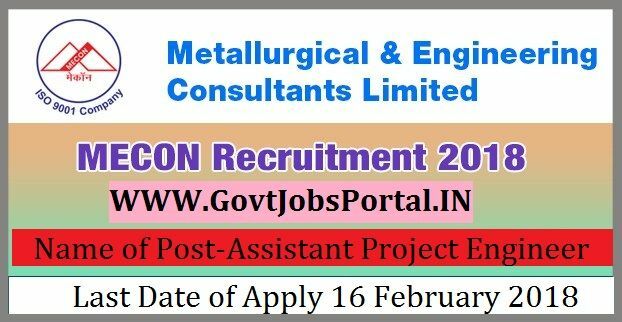 Metallurgical & Engineering Consultants Limited Recruitment 2018.
in Engineering from University duly recognised by AICTE/UGC. What is the MECON Selection Process job? What is the Application Fee for these MECON Jobs in India?